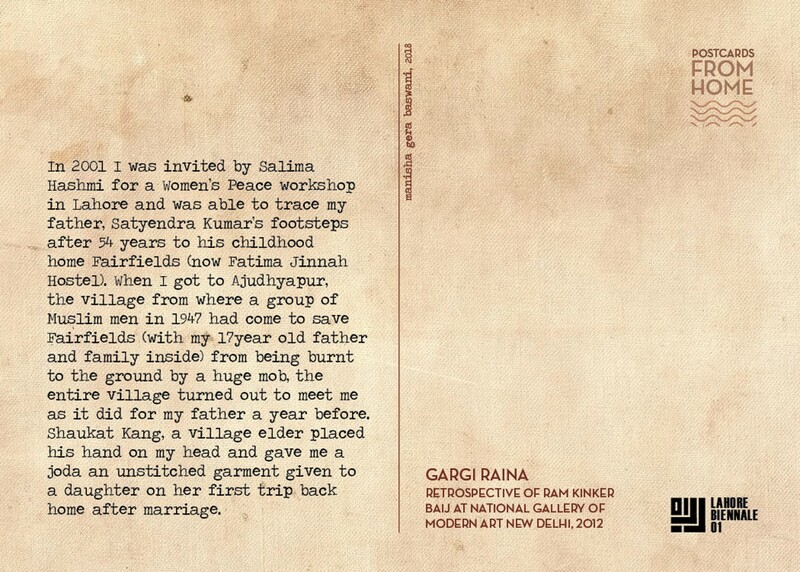 In 2001 I was invited by Salima Hashmi for a Women’s Peace workshop in Lahore and was able to trace my father, Satyendra Kumar’s footsteps after 54 years to his childhood home Fairfields (now Fatima Jinnah Hostel). when I got to Ajudhyapur, the village from where a group of Muslim men in 1947 had come to save Fairfields (with my 17year old father and family inside) from being burnt to the ground by a huge mob, the entire village turned out to meet me as it did for my father a year before. 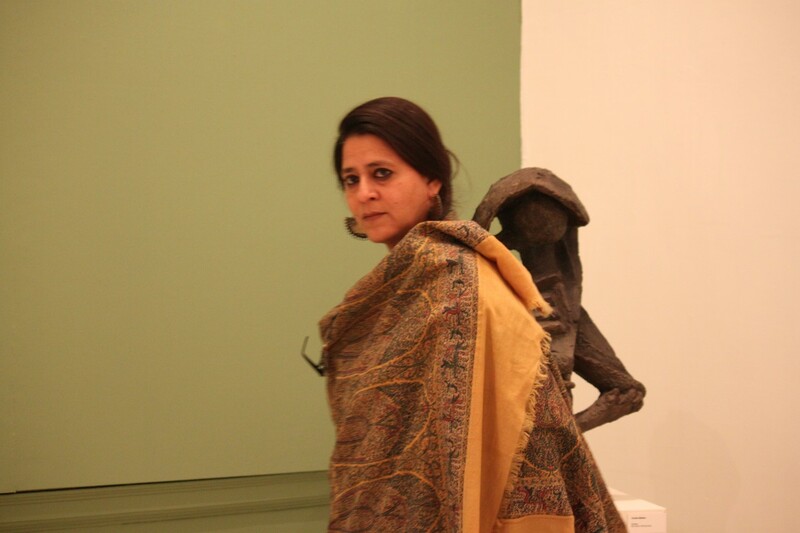 Shaukat Kang, a village elder placed his hand on my head and gave me a joda an unstitched garment given to a daughter on her first trip back home after marriage.